The YouTube channel Boundary Break has been featured many times here, but the channel’s most recent video is maybe my favourite. That’s because a developer who worked on LEGO Star Wars actually joined the YouTuber and helped explain some of the secrets found while exploring outside the boundaries of the game. Jon Burton was the director on LEGO Star Wars and he provides some answers on some of the strange things found in the game. A great example of this is his explanation for the strange grey cubes found hidden outside the boundary. It turns out these serve a simple but important purpose for developers. Think of these cubes as handles for developers. 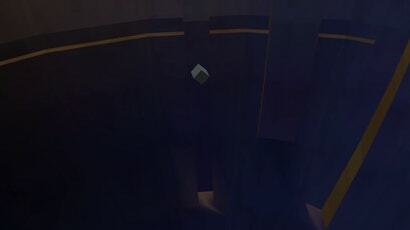 Essentially, these cubes are connected to larger and more complex objects, such as a massive crashing spaceship. These cubes can then be controlled by programmers to move that object, while artists can work on the large object and not break any of the scripting or programming connected to the object. There are a lot more secrets and tricks showcased in the video, including a really interesting look at how every cutscene in the game works. It turns out that every setpiece, character, location, and object is loaded into one map and waiting to be activated. This means for cutscenes that take place in multiple locations, like in a ship and on a planet, both areas and everything in those locations is waiting off-screen while the cutscene plays out. If you are interested in more developer secrets and tricks, Jon Burton has his own YouTube channel where he shares more insights into how games are made.